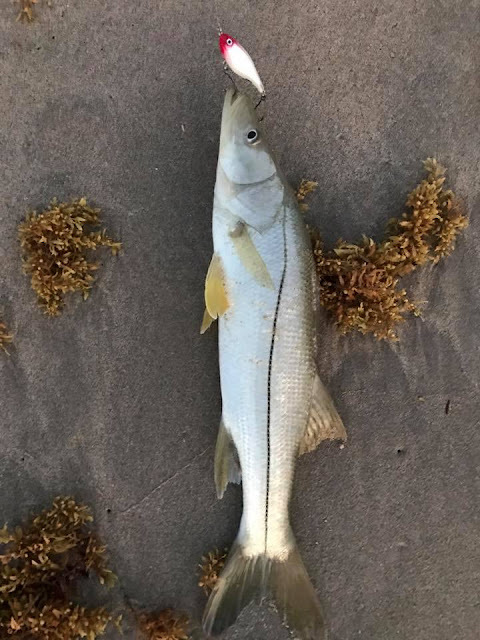 Snook starting to show up on the shore . Little rough today and the bait was limited but small pods of sardines . Outgoing tide most of the morning.